Assort Pack contains each one piece of 18 different mini cards packed in a plastic bag. Pack size 7.7"x10.8". 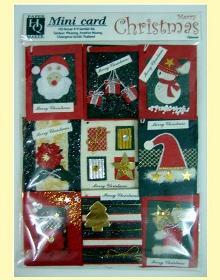 This pack is suitable for the retail use or gift to relatives. You can purchase all variety of mini cards at once. 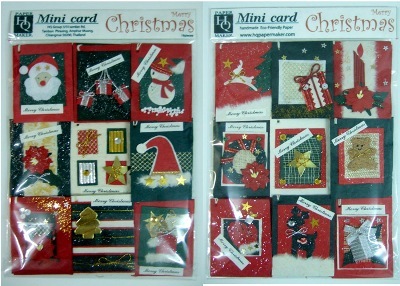 Each mini card come with the small card inside for your message and has a string to hang on your gifts. The mini card size is 2.50"x 3.25".